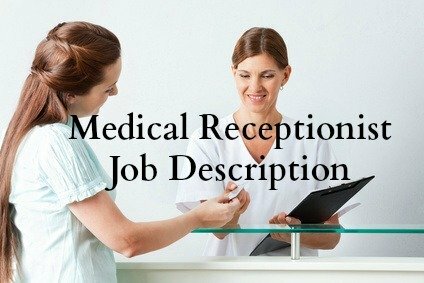 Medical receptionist job description for use by front desk medical receptionists and medical office assistants. The duties will vary slightly depending on the employment environment - doctor's office, clinic, healthcare practice or hospital. 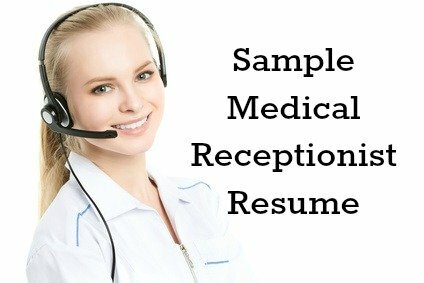 However the core responsibilities and requirements of the medical receptionist job remain standard. Tailor this sample job description to meet the requirements of your specific medical receptionist position. Attend to patients on the phone and in person. Coordinate and organize appointments and documentation to facilitate the smooth running of the healthcare environment and support delivery of quality patient care. 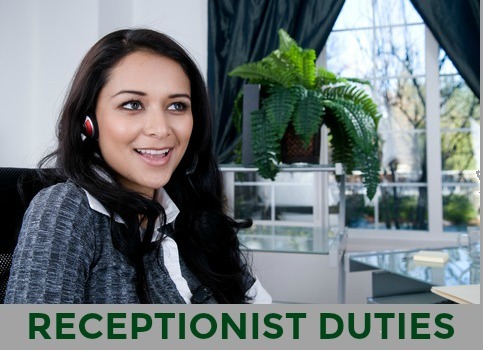 View the general receptionist job description for further information and job details. Latest Update - What is the average medical receptionist salary? Indeed.com reports that the average salary for job postings on the site for US-based Medical Receptionist jobs is $14.85 per hour as of April 2019.